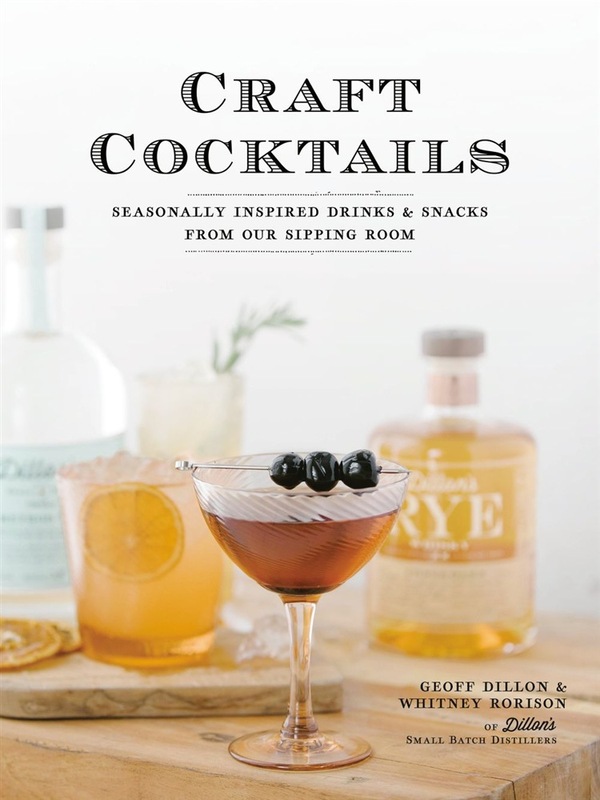 From Geoff Dillon, founder of Dillon's Small Batch Distillers and leader of the craft distilling movement, a collection of cocktails for every season and recipes for the perfect snacks to enjoy with them. Grounded in a belief in using fresh ingredients, this must-have collection of cocktails offers impressive yet simple modern coktails with an elegant vintage feel. The 100 recipes, divided by season, range from the classics, like a warm-weather Whisky Sour and a cool-weather Manhattan, to custom creations inspired by seasonal produce and local barkeeps. Imagine a glass filled with the fresh aroma of spring strawberries alongside the clean, crisp taste of lemon, with herbal notes of absinthe and a hint of rich sweetness from white port, then recreate this award-winning drink called the Royal Velvet at home. Quick and easy large batch recipes like Summer Sangria and Holiday Pomegranate Punch are sure to please a crowd, and snacks like Rosemary Maple Pecans, Roasted Cranberry Flatbreads, and Blackberry-Topped Brie will be the perfect complement to any cocktail. Whether you're craving a Plum Sparkler to refresh you on a sticky summer afternoon, or a Hot Toddy recipe to enjoy by the fire on a cold winter night, this complete collection of cocktails has the perfect recipe for every occasion and every season. Acquista Craft Cocktails in Epub: dopo aver letto l’ebook Craft Cocktails di Geoff Dillon, Whitney Rorison ti invitiamo a lasciarci una Recensione qui sotto: sarà utile agli utenti che non abbiano ancora letto questo libro e che vogliano avere delle opinioni altrui. L’opinione su di un libro è molto soggettiva e per questo leggere eventuali recensioni negative non ci dovrà frenare dall’acquisto, anzi dovrà spingerci ad acquistare il libro in fretta per poter dire la nostra ed eventualmente smentire quanto commentato da altri, contribuendo ad arricchire più possibile i commenti e dare sempre più spunti di confronto al pubblico online.